Bell Model 11, one prototype 38–326 first flown 6 April 1938. Powered by an Allison V-1710-17 (E2) engine (1,150 hp/858 kW) fitted with a B-5 two-stage turbosupercharger. Provision was made for two .50 in (12.7 mm) machine guns in the forward fuselage and one 25 mm (.98 in) cannon but aircraft remained unarmed. Later converted to XP-39B. Bell Model 12, service test version, V-1710-37 (E5) engine (1,090 hp/813 kW). First two aircraft delivered with armament, the remained with a M4 37 mm (1.46 in) autocannon with 15 rounds, 2 × .50 in (12.7 mm) machine guns with 200 rpg, and 2 × .30 in (7.62 in) machine guns with 500 rpg in the nose. wider vertical tail than XP-39B. 12 completed with the first flying 13 September 1940. One intended to have a high-altitude V-1710-31 engine (1,150 hp/858 kW), but was delivered as a regular YP-39. One conversion first flown 25 November 1939. Streamlined XP-39 based on NACA wind tunnel testing resulting in revised canopy and wheel door shape, oil and radiator intakes moved from right fuselage to wing roots, fuselage increased length (by 1 ft 1 in, to 29 ft 9 in) and decreased wingspan (by 1 ft 10 in, to 34 ft). Turbosupercharger replaced with single-stage geared supercharger, Allison V-1710-37 (E5) engine (1,090 hp/813 kW), carburETOr air intake moved to fuselage behind canopy. Bell Model 13, first flown in January 1941 it was the first production version, identical to YP-39 except for V-1710-35 engine (1,150 hp/858 kW). Armed with 1 × 37 mm (1.46 in) cannon, 2 × .50 in (12.7 mm) & 2 × .30 in (7.62 mm) machine guns in the nose. Aircraft lacked armor and self-sealing fuel tanks. Twenty produced out of an order of 80 the remainder were redesignated P-39D. Bell Model 13, Royal Air Force designation for three P-39Cs sent to United Kingdom England for testing. Bell Model 14. Briefly named Caribou. V-1710-E4 (1,150 hp/858 kW) engine, 1 × 20 mm (.79 in) cannon with 60 rounds & 2 × 0.50 in (12.7 mm) machine guns were mounted nose and four 0.303 in (7.7 mm) machine guns were mounted in the wings. IFF set removed from behind pilot. 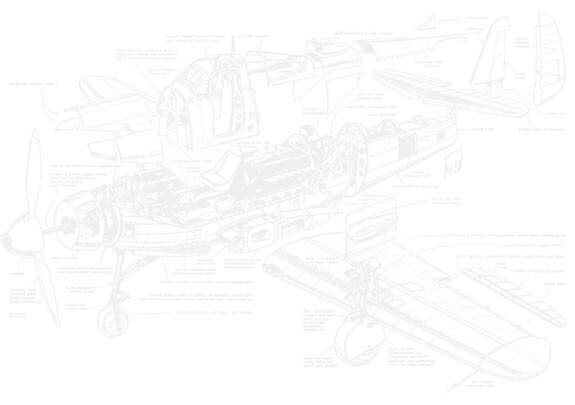 note: the designation IA indicates direct purchase aircraft; 675 built. The USAAF operated 128 former RAF aircraft with the designation P-400. Bell Model 13, production variant based on the P-39C with 245 lb (111 kg) of additional armor, self-sealing fuel tanks. Armament increased to 1 × 37 mm/1.46 mm cannon (30 rounds), 2 × .50 in/12.7 mm (200 rpg) and 4 × wing mounted .30 in/7.62 mm (1,000 rpg) machine guns; 60 Produced. Bell Model 14A-1, production variant with a V-1710-63 (E6) engine (1,325 hp/988 kW) restored the 37 mm (1.46 in) cannon, provisions for a single 145 gal (549 l) drop tank or maximum 500 lb (227 kg) bomb under the fuselage; 158 produced. 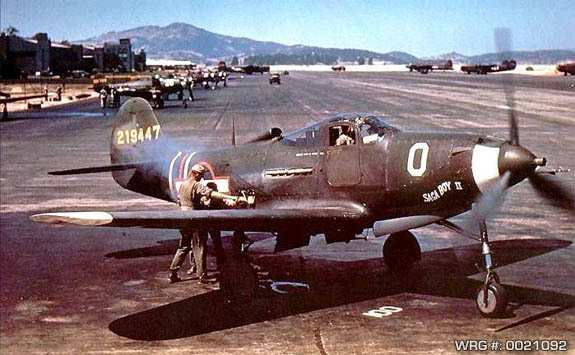 11 conversions from P-39D-2 to Photo Reconnaissance Configuration. Same modifications as D-3 aircraft. Bell Model 23. three P-39Ds modified for ground and flight testing first flown 21 February 1942. Intended for Continental I-1430-1 engine with (2,100 hp/1,566 kW) actually flown with Allison V-1710-47 (1,325 hp/988 kW) engine. Airframes were used to test various wing and different vertical tail surfaces. Fuselage was lengthened by 1 ft 9 in (53 cm). Used in the development of the P-63. 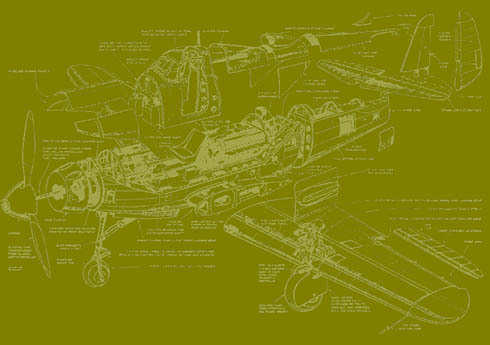 The production variants, with the Continental engines were to be redesignated as P-76; there was no Bell XP-76 as such. Bell Model 15B, production variant with three-bladed Aeroproducts constant speed propeller, 12 exhaust stacks; 229 built. One P-39F converted as a two-seat training version with additional cockpit added in nose— no armament. 27 conversions from P-39F-1 with additional belly armor and cameras in rear fuselage. Bell Model 26, 1800 order and intended to be a P-39D-2 with an Aeroproducts propeller. Due to modifications during production no P-39G were actually delivered. Instead, these aircraft were designated P-39K, L, M and N.
Bell Model 15B, a P-39F with V-1710-59 (1,100 hp/820 kW) engine with automatic boost control,; 25 built. Bell Model 26A, a P-39D-2 with Aeroproducts propeller and V-1710-63 (E6) (1,325 hp/988 kW) engine. Vents added to nose; 210 built. Six conversion from P-39K-1 with additional belly armor and cameras in rear fuselage. Bell Model 26C, a P-39K with Curtiss Electric propeller, revised nose gear for reduced drag, provision for underwing rockets; 250 built. Eleven conversions from P-39L-1 with additional belly armor and cameras in rear fuselage. Bell Model 26D, variant with a 11 ft 1 in Aeroproducts propeller, V-1710-67 (E8) (1,200 hp/895 kW) engine with improved high-altitude performance at the expense of low-altitude performance, 10 mph (16 km/h) faster than P-39L at 15,000 ft (4,600 m). Note: some P-39M-1BE were delivered with the V-1710-83 (E18) engine; 240 built. Bell Model 26N, originally part of the P-39G order. V-1710-85 (E19) (1,200 hp/895 kW) engine. Aeroproducts propeller (10 ft 4 in diameter) & different propeller reduction gear ratio. Starting with the 167th aircraft, propeller increased to 11 ft 7 in & internal fuel reduced from 120 gal (454 l) to 87 gal (329 l); 500 built. Variant with internal changes to adjust center of gravity when nose guns were fired; 900 built. 128 P-39N-1 converted with additional belly armor and cameras in rear fuselage. 35 P-39N converted with additional belly armor and cameras in rear fuselage. Variant with armor reduced from 231 lb (105 kg) to 193 lb (88 kg), Armor plate replaced the bulletproof glass behind the pilot, SCR-695 radio was fitted, and a new oxygen system was installed; 695 built. 84 P-39N-5 converted with additional belly armor and cameras in rear fuselage. The final production variant last one built in August 1944. Two mechanics crank the handle of a USAAF Bell P-39Q-1-BE Airacobra, at Hamilton Army Airfield, California (USA), in July of 1943. The aircraft "Saga Boy II" (serial no. 42-19447) belonged to Lt.Col. Edward S. Chickering, commander of the 357th Fighter Group. Bell Model 26Q, variant with wing-mounted 0.30 in (7.62 mm) machine guns replaced with a single 0.50 in (12.7 mm) with 300 rounds of ammunition in a pod under each wing. Armor increased to the original 231 lb (105 kg) of armor of the P-39N-1BE; 150 built. Five P-39Q-1s modified to carry cameras for photographic reconnaissance by adding K-24 and K-25 cameras in the aft fuselage. Production variant with reduced armor (193 lb/88 kg), fuel capacity increased (110 gal/l). Type A-1 bombsight adapters added; 950 built. One conversions to a two-seat training variant with additional cockpit added in nose – no armament. Enlarged tail fillet and a shallow ventral fin added. 148 P-39Q-5s modified to carry cameras for photographic reconnaissance by adding K-24 and K-25 cameras in the aft fuselage. Variant with increased armor (228 lb/103 kg), fuel capacity increased (120 gal/454 l). Automatic Boost controls added and Throttle & RPM controls were coordinated. Winterization of oil systems and rubber mounts added to the engines; 705 built. Eight P-39Q-10s modified to carry cameras for photographic reconnaissance by adding K-24 and K-25 cameras in the aft fuselage. Production variant with reinforced inclined deck to prevent .50 in (12.7 mm) machine gun tripod mounting cracking, bulkhead reinforcements to prevent rudder pedal wall cracking, a reinforced reduction gearbox bulkhead to prevent cowling former cracking, and repositioning of the battery solenoid. Oxygen system reduced from four bottle to only two; 1,000 built. Production variant with minor equipment changes. The underwing 0.50 in (12.7 mm) machine gun pods were sometimes omitted in this version; 1,000 built. 109 P-39Q-20 fitted with a four-bladed Aeroproducts propeller. 12 P-39Q-20s converted to two-seat trainers . Production variant similar to the P-39Q-21 but with a reinforced aft-fuselage and horizontal stabilizer structure; 700 built. Production variant that reverted back to the three-bladed propellor; 400 built. United States Navy designation for two P-39Qs used as target drones. Assigned to NAS Cape May for test work. Later redesignated F2L-1K. The P-45 was the initial designation of the P-39C or Model 13. One prototype for the United States Navy.